It doesn’t happen too often in the world of blogging that readers who are also avid and thoughtful commentators request that one of their own write a “guest post.” But this is what happened. “Tappanch” is always the first to find the salient news of the day. He is never satisfied with journalistic summaries but goes to the statistics. As you will see, he compares several sources of information to come up with his astute observations on the state of the Hungarian economy. I’m sure we will all learn from his considerable research on Viktor Orbán’s mostly lost economic wars. The “Basic Law” that replaced the Constitution on January 1, 2012 mandated that each yearly budget should decrease the “debt of the central government”/”complete domestic product” ratio (36 & 37). Subsequently, the Orbán government postponed the effective date of the start of this reduction to 2016. So it created a legal category that restricts the rights of the Parliament and Courts, contingent on the value of the “complete domestic product”, although there is no such notion in economics. Most people assume that the lawmakers meant GDP here. On the other hand, the debt/GDP ratio depends on how we calculate the debt and how the GDP. 1.1 The denominator: How large is the Hungarian GDP? The Central Statistical Office (KSH) currently gives three series of numbers. (a) GDP in current prices. (c) GDP in 2005 average prices. (c) 21984.68 [21742.74] billion HUFs on December 31, 2013 . The head of the potential government appointed “Budgetary Council,” Árpád Kovács, used slightly different numbers in a recent article for (a), namely: (a) 29203 . The GDP is quoted in HUF, but it is also meaningful to convert its forint value into EUR at some exchange rate. I will use the daily conversion rate of the European Central Bank, which can be found here. 74.01 [74.39] billion EURs at the end of 2013 . 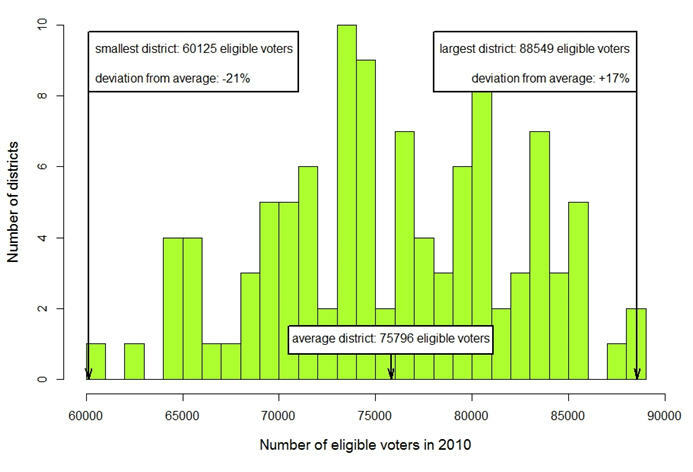 Let’s see the numbers Hungary reported to the European Statistical Office. So if one asks about the growth of the GDP in 2013, the answer will be at least sixfold. In HUF terms, we get to the numbers 3.80% [4.12% in Kovács’s article], 4.36%, and 1.11%, while in EUR terms, the growth was 2.15%, 2.69%, and -0.50%, an actual decline. If we use unchanged HUF prices, i.e. (c), agriculture contributed to 0.9% of the 1.1% growth of the GDP. In reality, the large volume increase in the corn and wheat production was offset by the significant decline in their price. 1.2 The numerator: How large is the national debt? Are we talking about the debt of the central government? Do we include local governments or Social Security? Gross debt or net debt? Is the debt “consolidated”? Do we measure the debt in HUF or EUR? Which agency reports the debt? This number stood at 19933.4 billion HUF when the Orbán government took over on May 31, 2010; at 20720.1 on December 31, 2012; 21998.6 on December 31, 2013; and 23569.3 on March 14. 2014. They asked the partially state-owned MOL and ordered the 100% state-owned Eximbank to purchase government bonds for 435 billion HUF. They were repaid in January. If we count in euros, the debt has increased by a smaller percentage because of the declining value of the forint. Thus the debt has increased by “only” 4.48% in euro terms in 2013. The debt of the central government has grown by 18.24% in HUF or by 3.75% in EUR since May 31, 2010. This last number looks great, unless we recall the fact that the Orbán government took over the private retirement funds (MaNyuP) of 2.9 million workers on May 31, 2011 and has spent it COMPLETELY by December 31, 2013. How much of this money was spent for “debt reduction”? (The initial nationalization) + (subsequent voluntary offerings) + interest – (previous capital gains paid to the workers in 2011). The initial nationalization amounts to 2945.3 billion HUF. When I added up the items on the website of AKK, the office that handles issuing government bonds, I came up with the number of 2555.9 billion HUF, which might be a good approximation of the actual new debt the Orbán government created towards the future retirees. So the Fidesz government has increased the debt of the central government by 7.13% in HUF or 5.42% in EUR during 2013. The total debt growth since May 31, 2010 amounts to 31.06% in HUF or 14.80% in EUR. The previous numbers came from the Treasury, which can be found at akk.hu. The National Bank of Hungary, MNB, has gross debt numbers that are higher by about 1000 billion HUF than the sum of the debt reported by AKK and the spent retirement funds. 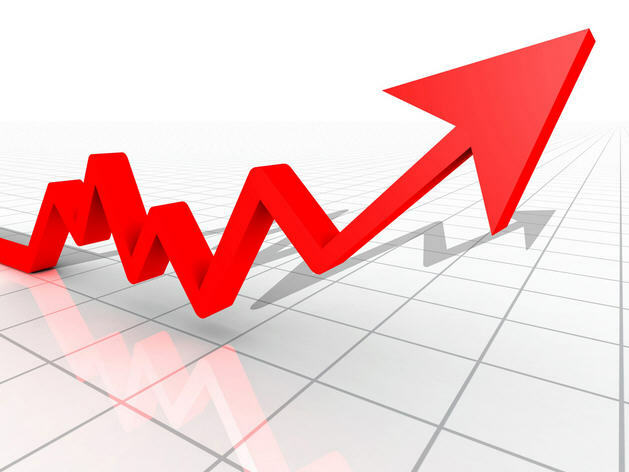 25598.8 on December 31, 2013 [86.18 EUR], a 6.28% rise in HUF or 4.59% in EUR during 2013. The distribution of the gross debt in HUF and foreign currencies has changed since 2010, but the change is not as significant as some government propagandists suggest. In this article I use the yearly currency exchange rates EUR/HUF and EUR/USD provided by Bundesbank. In the 2014 budget plan (September 2013 version), the EU support amounts to more than 10% (!) of the expected revenue, while 7.4% of the outlays were designated to service the interest on the government debt. Domestic revenue/outlays equals only 85% in the 2014 plan. In the entire 2014-2021 European budget cycle, Hungary expects to receive 7200 billion HUF, i.e. more than €3.2 billion yearly. The nominal 2013 deficit was €3.13 billion according to financial minister Varga’s January statement. Let us compare the nominal deficit numbers with those in Kovács’s article. Through 2012, he uses the same numbers Hungary reported to the European Statistical Office as “general government deficit”, which includes Social Security and local governments as well. See here and here. Kovács contradicts Varga for 2013: Varga stated that the 2013 deficit was 929 billion HUF on January 22, while Kovács gave the 2013 number as 689 billion on March 13. But a recent (February 28) KSH publication puts the deficit of the central government at €3.30 billion (979.8 billion HUF), and the “consolidated” deficit at €3.13. The first two months of the 2014 produced a nominal deficit of 582/305= €1.91 billion euros, which leaves only €1.20 billion of deficit for the remaining ten months of 2014. Simicska’s Közgép won at least 432 billion HUF in public tenders in 2013, so about 30% of the EU support goes through the company of the former treasurer of the ruling Fidesz party. We can state with certainty that the genuine budget deficit was the largest ever in 2013. Here we use the data of the MNB that can be found here. “Consolidated” means that “sub-sectors of the general government” are excluded, as the second note in the MNB spreadsheet explains. This “consolidated debt” is the number Mr. Kovács uses in his article cited above. Notice that the 2013 general government deficit that can be be concluded from these numbers is (18451.2-17164.0)/296.87= €4.34 billion, and not the €2.32 Kovács or the €3.13 Varga and KSH reported. Let me summarize: the net financial position of the government is worse than what the gross debt numbers indicate. net debt: 7.50% in the central and local governments combined. gross debt: 3.36% in the central and local governments combined. If you have the right to choose your favorite numerator and denominator, the desired ratio can be achieved with ease. We saw that Budgetary Council chairman Kovács counts with a unique, much lower deficit for 2013 than minister Varga. He also uses a higher “GDP in current prices” for 2013. Let us calculate the ratio using liabilities of the central government from 1.2.2! So we found official data showing the “ratio of desire” up in 2013, contrary to the tenet of Fidesz’s own “Basic Law”. The ratio from the “consolidated” deficit is the well published (23067.8-22392.8)/29114.43= 2.32%. But the Maastricht criterion requires member states of the European Union to maintain the yearly ratio of (deficit of the central government + local governments + social security)/GDP below 3%. This ratio was (18451.2-17164.0)/29114.43= 4.42% in 2013. The last number A seems to be a closely-held secret, it was divulged only once. How many workers and their families work and reside abroad? The low remittance from UK and Denmark might indicate that the workers there are more likely to stay with their families. The second trick is to move some of the unemployed to the employed camp using the “közmunkás” category F. F is only an implicitly given number that can be calculated from the data of KSH. But if we discount the “fostered” workers and the workers abroad included in the statistics, the growth in employment equals the less than great number of 0.38%. So what do the numbers tell us? First of all, a lot of numbers are not public. Some numbers contradict each other. 1. The GDP growth in constant prices was 0.2% without agriculture in 2013. If agriculture is counted, the 1.1% growth in HUF becomes a 0.5% decline in EUR. 2. The Orban government has increased the debt to an all time high. The total debt growth since 2010-05-31 amounts to 31.06% in HUF or 14.80% [using ECB exchange rates] or 15.10% [using MNB exchange rates] in EUR, if we include the spent retirement funds. 3. The general government deficit reached a record high of €4.34 billion in 2013. 4. The number for the Maastricht deficit criterion was 4.42% in 2013. 5. The domestic employment without the “fostered” workers increased by 0.38%. P.S. 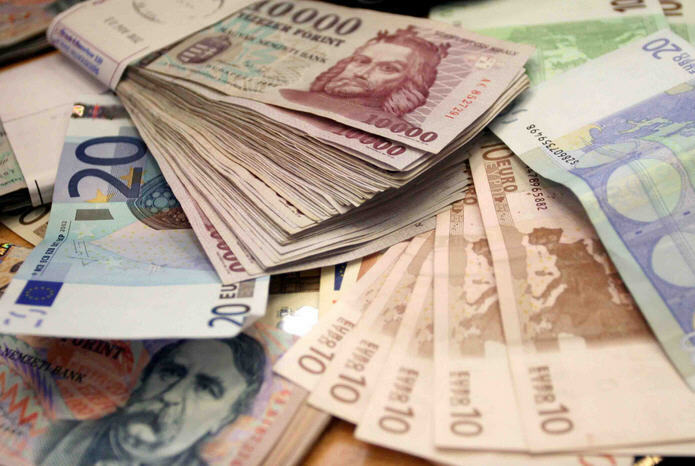 Today, on March 18, 2014, Hungary sold $3 billion of new debt at 5.5% yearly interest. The official gross debt/GDP ratio will reach 84% to 85% at the end of March. The 10-year bond premium over the 10-year US Treasury note. The data are from Portfolio. I noted yesterday that the election campaign has begun. I should have added that Fidesz has been campaigning from the very moment its government took office in May 2010. With election comes what Hungarians call “the spreading of the goodies,” at least temporarily making the electorate happy so they will support the government at the next election. This practice, which cuts across parties, has been largely responsible for Hungary’s chronic indebtedness and its large budgets deficits. Very often this largesse was financed with borrowed money. Prime Minister Viktor Orbán swore that it would never happen under his watch that Hungary would borrow money to pay for social benefits. In fact, he was so serious about national indebtedness, which he considers the source of all the ills of the Hungarian economy, that it was written into the constitution that “the Central Budget … will have to ensure that the level of the state debt does not exceed half of the value of the gross domestic product of the previous calendar year.” Right now the national debt is larger than ever and only yesterday the government announced that Hungary had submitted a registration statement to the SEC for the issuance of up to $5 billion in debt securities. This will be the second such bond issue in US dollars this year. I wonder what Viktor Orbán will do if his government is unable to fulfill its constitutional duty with respect to the level of the national debt? It’s not that I fear for Orbán’s political well-being. 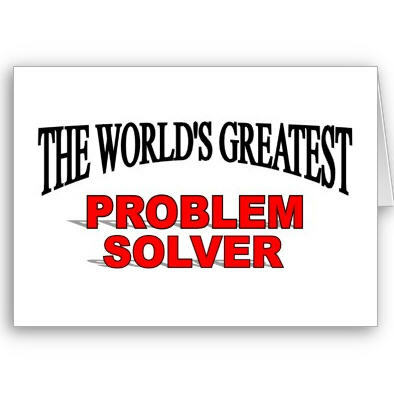 This government is very inventive, so I’m sure they would come up with something to avoid the resignation of the government. While the government has the means to distribute money and other perks, the opposition must be satisfied with promises. As has happened in Hungary time and again, these promises turn out to be empty. The 2010 promises of Fidesz, including one million new jobs in ten years, couldn’t be fulfilled. In fact, it was just announced that fewer people have jobs today than a year ago. The Balatonőszöd speech was partly about putting an end to this practice and stop deceiving the electorate. For a while the opposition parties seemed to have paid heed and refrained from falling back on their bad habits. Their politicians kept emphasizing the difficult economic situation and the long road ahead. But as the election gets closer they seem unable to resist the temptation. So, let’s see who is promising what. MSZP held a huge meeting in Miskolc, a town that was once an MSZP stronghold. The crowd responded enthusiastically when Attila Mesterházy announced that if the MSZP, hand in hand with Együtt 2014-PM, wins the election “the winners will be the children, the youth, the women, the employees, the small- and medium size entrepreneurs, and the pensioners.” In brief, everybody. Fair enough. Almost everybody would indeed win if Fidesz were sent back into opposition. But what specifically did Mesterházy promise? From September 2014 on students will receive a free education at Hungarian colleges and universities. A year ago the socialists were talking only about a tuition-free first year, after which tuition would be charged based on academic achievement and social needs. But now, it seems, there is no qualification. We know from past experience that the Hungarian budget cannot possibly afford the luxury of totally free higher education. He promised more money for education and promised to build gyms instead of football stadiums. They will spend more money on healthcare. Unemployment insurance, which was truncated by the Orbán government, will once again be available for nine months. The socialists will make sure that public transportation for people over the age of 65 will be “truly” free. Mesterházy admitted that to achieve all these things one must have robust economic development, but he added that “yes, we will achieve this too.” MSZP wants to modify the across-the-board lowering of utility prices, which currently threatens the industry with bankruptcy. The socialists suggest lowering prices only for those in need. MSZP would also change the tax system and get rid of the flat tax, which has done a lot of damage to the economy. As you can see, there are plenty of expensive promises here. The healthcare system is in ruins, and it seems that the same is true of education. Even with higher taxation on the “rich,” as Mesterházy called those whose incomes are above average, healthcare and education cannot be salvaged. As currently configured, healthcare is a bottomless pit. Throwing more money into it is no remedy. It’s time for some fresh thinking. Bajnai offered up a few numbers. He would spend at least 1% of the GDP on higher education and would again open the doors of colleges and universities to anyone who has the ability. Bajnai also promised 250,000 new jobs in four years. Well, that number is more modest than Orbán’s one million in ten years, but as we know governments cannot create jobs. 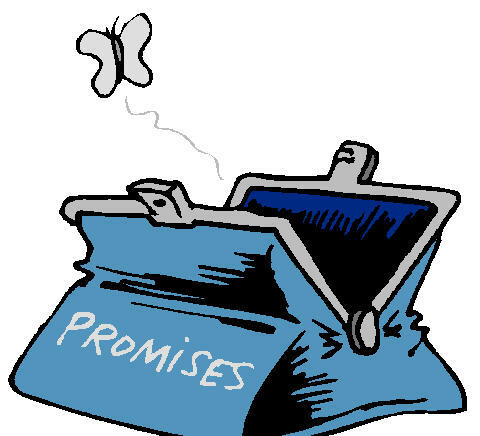 It’s not clear whether people actually believe these promises or whether, after all the unfulfilled and unfulfillable promises, they are jaded. Hungarians say they don’t believe politicians, but perhaps their belief is selective. Perhaps they believe promises from which they themselves will benefit and disregard the rest. Perhaps they believe some of the promises of their favorite candidate and none of the promises of the other candidates. Who knows? I doubt they would be honest with pollsters. At any event, it’s tough to campaign with the message that people should prepare themselves for more lean years when opponents are promising a host of goodies in a “rising tide” economy. People want hope and change and a “yes we can” attitude. (And a few more forints in their pockets one way or another.) Disappointment that the government hasn’t delivered sets in only later. Just ask Barack Obama.